It’s not hard to believe that as much as women love to get gifts so do men. Everyone enjoys getting a present. There is so much you could give to a woman but it’s a bit challenging to choose gifts for men and specifically for men who have almost everything! To make your job easy here is a list of the 20 best gifts for men who have everything. He has everything but has probably missed out this small yet useful thing. It’s a bit difficult to properly clean things such as keyboard, USB ports and remotes. The cleaning putty is at his rescue. 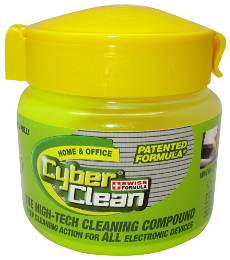 It will be really helpful to clean up a lot of his electronics stuff and much more. He is a techie and extensively uses keyboard and mouse? It’s time to show that you care for him. 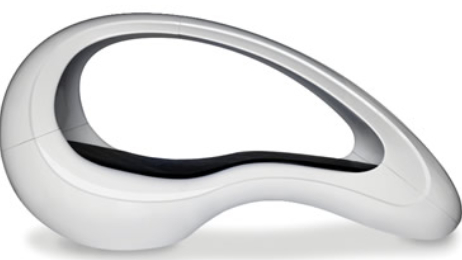 Gift him this hand massager. 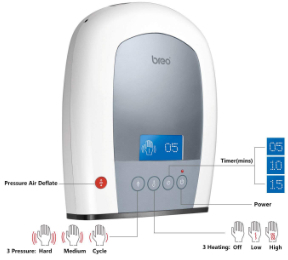 It will give a nice, gentle massage to his tired hands and relax him. If he is free as a bird and loves to fly, hang gliding & paragliding could be the best gift he could ever have. Go, give him an experience of a lifetime! Men love beer and probably the chilled ones. 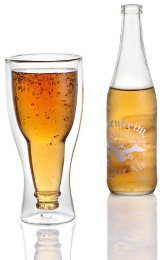 Gift him this unique beer glass, which will keep the cold beer stay cold for a long time. Now, that is quite cool for a beer lover! 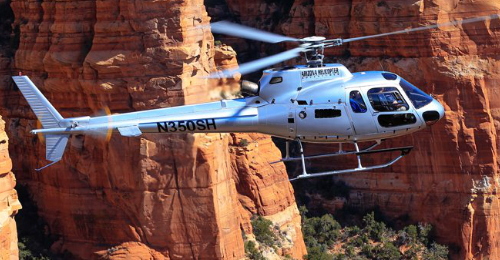 Enjoying a helicopter ride can be one his memorable experience. Surprise him with this gift ride. Give him a chance to enjoy the awesome views from top and see his favorite city like the way he has never seen before. He loves rock climbing but hates to go out for it? He does not have to go anywhere if you gift him a treadwall. 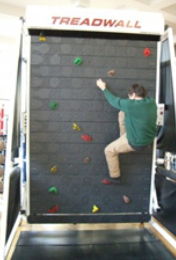 Treadwall M6 Pro is a rotating climbing wall. It is an amazing gift to help him burn some calories with the feel of rock climbing right at home. What could be better than a power nap capsule? Add this fancy luxurious item to his furniture collection and make him enjoy a mind-blowing napping environment inside this capsule. If a man has his own brewery to make beer, he can’t thank you enough! 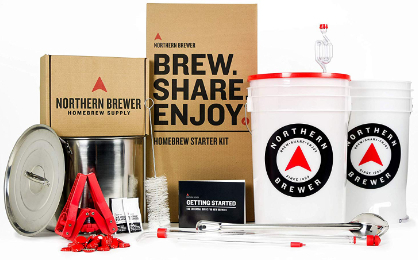 Assuming you are super rich, order a microbrewery for him and make him happy by all means. He not only likes to taste a variety of wines but also wants to know all about them? Getting him a wine tour is the best you could do for him. 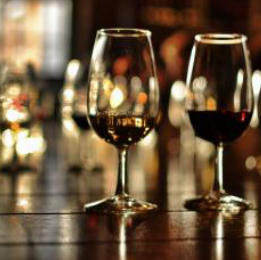 Buy this package and let him experience the world of wines. He sure is going to remember the tour for a very long time! A man who has everything probably has many watches too. 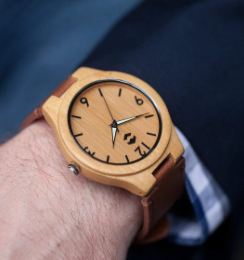 But it is quite likely that he may not have this wooden bamboo watch in his collection. Add this to his style statement and give him a cool look. You have lately seen him quite stressed with all the work pressure? You are thinking that you can’t really do much for him because stress is bound to come with lots of work. But, here is something to help you out! 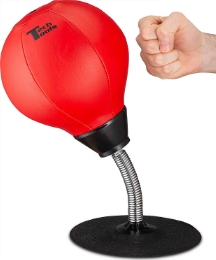 Help him relieve work stress, at his office desk, with the desktop punching bag. Men, though they may not admit, want their style to be admired. 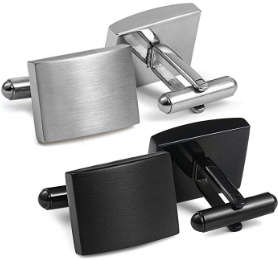 If he wears lots of shirts, then gift him this pair of beautiful cufflinks. This will certainly add glamour and make him look more stylish than ever. He always misplaces his keys and takes hours to find them? Bluetooth tracking tag is the perfect gift for him. 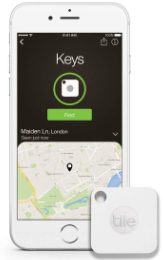 He can simply secure the tag to his keys or any item that he keeps missing and quickly find it in no time with the Bluetooth technology and a free downloadable app in his mobile. When giving gifts to older men you need to be more thoughtful. They will simply be touched if they can emotionally connect to your gift. Rather than thinking for some fancy expensive gift, make them happy with a memorable gift full with emotions. 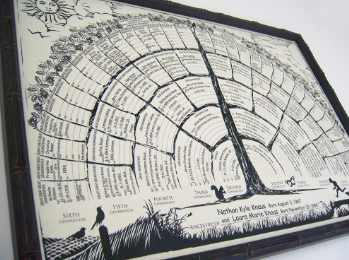 Family tree chart would be a good choice for such a gift. Get one framed. He loves to cook and keeps finding reasons to be in the kitchen more often? Well, give him that reason. 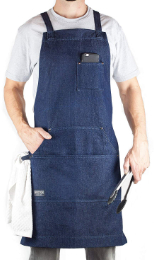 Gift him this stunning denim apron. Who would not want to look like a cool chef? He will surely love cooking in it! He has a nice cell phone, but you can hardly contact him when he is outside home? You are probably irritated of hearing his excuse- “My phone battery died out!” Don’t worry if he didn’t get time to charge his phone at home. 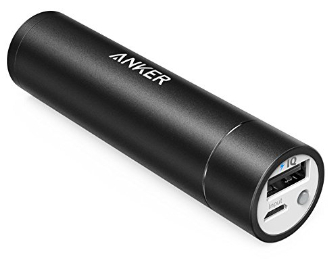 Gift him this portable charger and end all your worries. He will be happy and so will you. 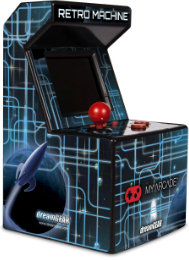 If he loves playing games and has all the latest video games, you can surprise him with this mini arcade machine, which comes with the classic games of the 80’s. It’s quite irresistible for a game lover. He can certainly entertain himself for hours on that machine. He is a music lover and you are planning to give him headphones? Then present it in a unique way. 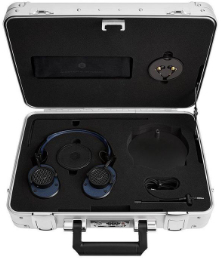 Go for the MH40 Zero Halliburton Kit, which comes with headphones, earphones, headphone stand and microphone all inside a stylish case. When coffee comes to mind, all he can think of is espresso. Really? If he loves it so much and anyways spends a lot on his espresso why not give him one espresso machine? He can have his favorite coffee anytime he wants. 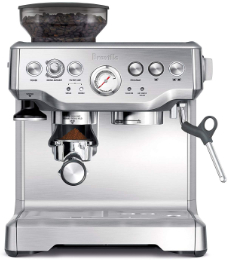 Gift him the Barista Espresso Machine. The ultimate gift for a coffee lover! A book is said to be a man’s best friend. If this is the case with the guy you want to give a gift, then what could make him happier? 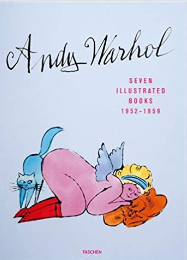 Get him the Taschen Andy Warhol ‘Seven Illustrated Books’ Collection. A very stylish book indeed! It’s easy to make him happy when you give him the gift he explicitly asked for. But, you have really been very thoughtful if you could give him a pleasant surprise with an unexpected gift. So, take your time and choose what could be the best for him from the list above. Your one sweet gesture can bring a smile on someone’s face. So, choose nice!